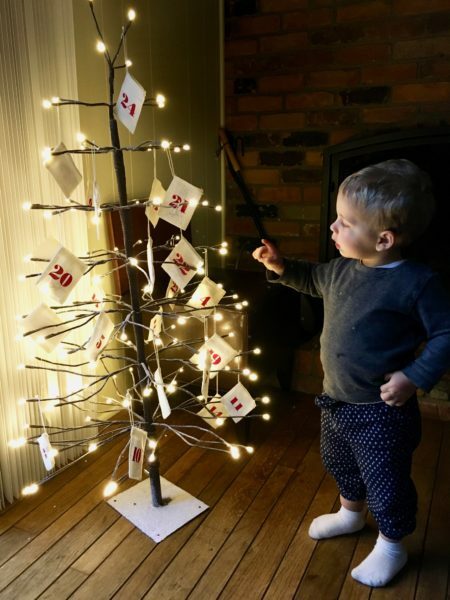 A Countdown To Christmas For Kids! So, I am a sucker for tradition and memory-making and especially Christmas. There’s no denying it. I think it was sometime in September, when I was nesting hard and hoping Margaret would make an early debut, that I began daydreaming about this year’s holidays with our three children(!). 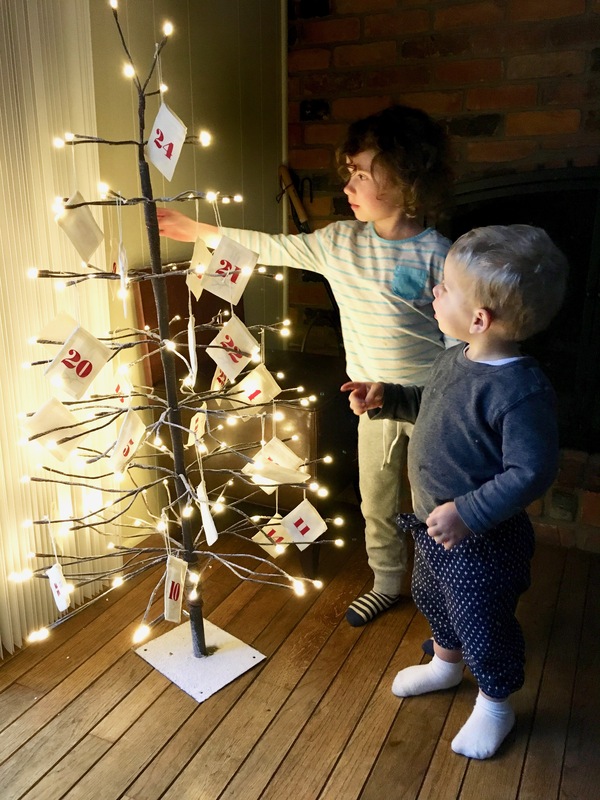 Filled with ALL the Pinterest-mom zest for their perfect childhood, I dreamed up this play on the advent calendar that would be festive, fun and chock-full of the spirit of giving. I organized 24 daily activities that can be shuffled around to accommodate your schedule (i.e. tree-getting and visits to Santa on the weekends, coloring and caroling on weekdays). 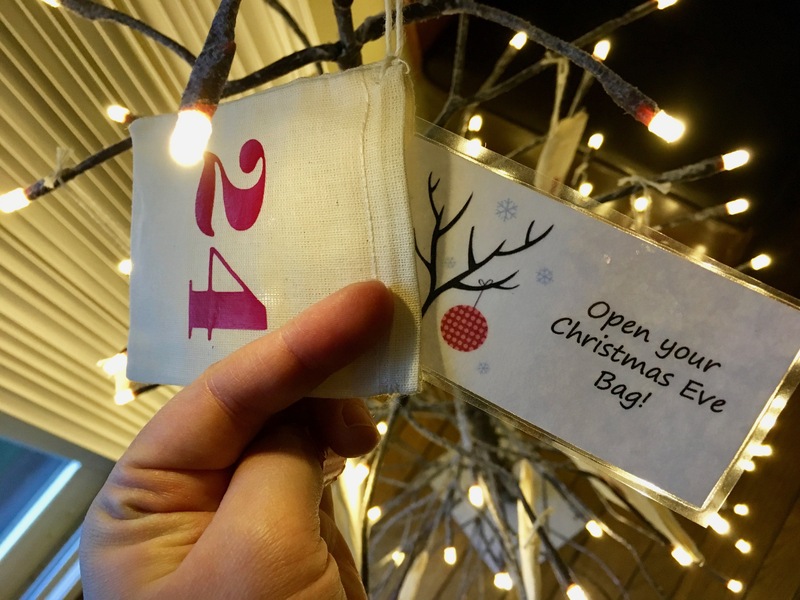 Our daily prompts (see below) are laminated (because of course), slipped into each of these adorable numbered bags and hung on our advent tree. Every morning the kids come down and pluck the day’s bag off the tree. We’ve been having SO much fun decorating our house, writing letters to soldiers and Santa, going to the post office to mail our letters and making some charitable donations in our community. It’s never to late to start a new tradition and make some holiday memories of your own! Hopefully, these ideas/printout makes it a little easier for you! Tis the season to be jolly, after all! Count down to Christmas with these fun and festive activities for children! Decorate the whole house for Christmas (make sure to blast the Christmas music)! Bring food donations to a food pantry. Have a Christmas Movie Marathon! 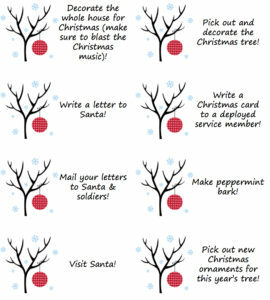 Write a Christmas card to a deployed service member! Mail your letters to Santa and soldiers! Pick out and decorate the Christmas tree! Pick out new Christmas ornaments for this year’s tree! Make Christmas gifts or cards for your teachers! Gather old toys and clothes to donate! Make birdseed ornaments to hang outside! Go to Starbucks for Christmas drinks, then head out on a family hike (bring some birdseed ornaments to hang)! Build a blanket fort and read Christmas stories inside! Bake and decorate Christmas cookies! Sit by the fire (inside or outside) and roast marshmallows! Walk around (or drive if it’s too cold) in jammies to look at Christmas pretties! 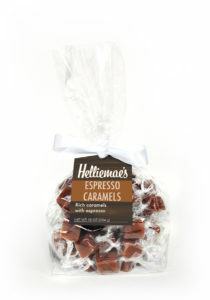 Open your Christmas Eve Bag! Click this image for a printable PDF! 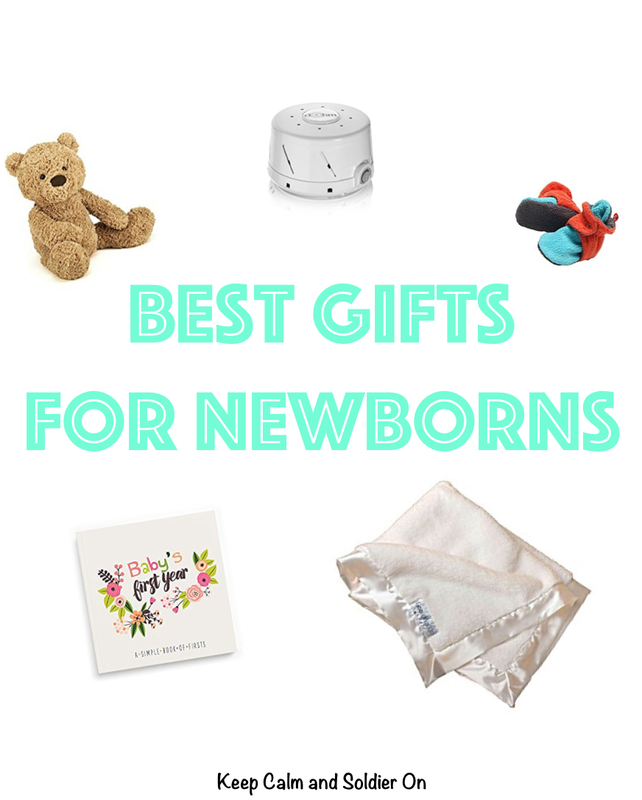 For more Pinterest-worthy Christmas ideas, check out this and this! The Best Things Come In Threes. was born at 12:33 in the afternoon. 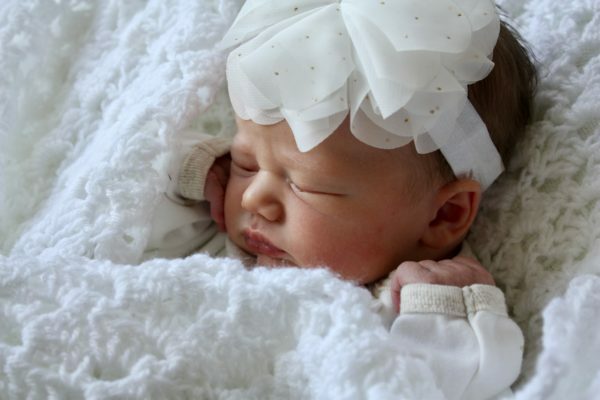 She weighed 7 lbs 10 oz and measured 20.5 in.